NARAL Pro-Choice America announced on Monday it has tapped longtime Democratic operative Ilyse Hogue to serve as its new president as the group seeks to appeal to a younger generation of pro-abortion rights supporters. Hogue replaces outgoing president Nancy Keenan, who is leaving the post after eight years. In May, Keenan announced she would step down from the group after the 2012 election in order to bring in someone who could appeal to younger voters.In an interview with the Washington Post, Keenan said the group had found an intensity gap among young women who weren’t around when abortion wasn’t legal. She said the group needed to recruit a new generation of pro-abortion rights activists for different roles—including her own. The move comes amid what the group has described as increasing attacks on women’s rights around the country. According to an NARAL report released earlier this month, 42 anti-choice measures were passed in 25 states last year. 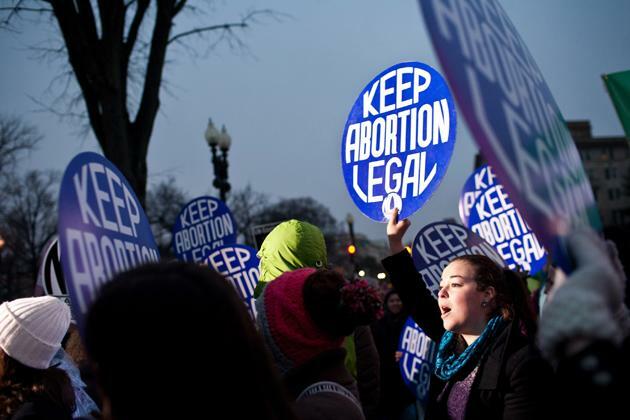 The finding came as preparations are made to mark the 40th anniversary of Roe v. Wade, the landmark U.S. Supreme Court decision that struck down state laws restricting abortion. Hogue previously was director of political advocacy at MoveOn.org and also served as a senior adviser to Media Matters for America. During the 2012 campaign, she headed up the Friends of Democracy Super PAC, a group that pushed for campaign finance reform, and was a columnist for the liberal magazine The Nation. In a statement, Hogue said she was “absolutely thrilled” to be joining NARAL.